I was on your website and reading your blog. You have shared very informative blog for every one. Please keep update from your more blogs. Thanks for sharing this with me[url="http://packagingboxessuppliers.com/bottle-packaging-boxes.html"]best USA bottle packaging boxesour keyword[/url] . 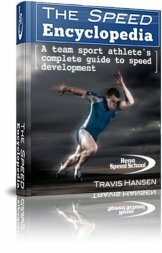 This is good website about training, speed & agility training. Good source for learning and knowing different skills. Very nice page and proving us very good information about paper writing service and Artwaun Steele here. The picture is posted up their is very nice the photographer took a very god shot really. I want to see some more nice pictures on this page. To play and struggle forward to getting success is almost considered to be so necessary that one really need to think on. This picture is really amazing and a kid of funny in a way. I like sports and am looking forward to more sports related pictures from this website. As good as you are, adding the RIGHT weight training program will only make you better. That's an understatement; a comprehensive, 4-6 month, periodized weight training program, aimed at maximizing your DB-SPECIFIC strength and power, in addition to your technique, foot-, and Speedwork will change the athlete that you are. From what I see you can ball: Nice instincts, you definitely have a nose for the ball. 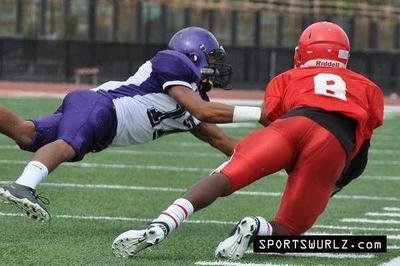 Great coverage, very physical, great tackling, pretty good ball skills, and nice with the return skills. You're a Great football player, and very well-rounded cornerback. 2) It's a little hard to judge because even with a little bad technique you're head and shoulders above the level of competition. You're D1 caliber DB and could play anywhere. Don't know what your plans are but at your age it would be advantageous if you made a run at college or lower level pro team. Also like I tell all players with Great football skills... work on improving your athletic ability: strength, power, speed and agility. That means weights. With good numbers you could sneak onto somebody's arena squad. I played the season without lifting one weight but I did work my craft at DB so besides the weight where could I improve in your eyes?